It goes without mentioning that one of the toughest and the most daunting jobs in SEO are clean-up process of links and also the procedure of disavowing. Once the link is placed in a website, removing it is counter-intuitive and this kind of a thing is caused only during 2 different instances. Bad link building strategies were sometime performed in the past which cost you either money or energy and later on it will cost you further energy to remove those links. A competitor is building a bad link profile to the website with high hopes of incurring a penalty. Once you get to know the reason behind your removing of backlinks, whether it is the first one or the second one, this will alleviate the speed of the process of handling backlinks and removing them. Manual actions can still be taken and all of a sudden you may be hit with bad link penalty. Apart from Penguin, there are several other algorithmic functions which don’t give any value to spam links. You may personally be a big fan of shortcuts but in this case, adopting the shorter route won’t help you much. So, let’s take a look at the data on backlinks and review them to know more. Check them out. This is the most common situation where either you or your client has made payments to some shady link builder and he has offers you a list or to your client telling you about the placement of those links. In such a case, you don’t require investigating and you can straight away repudiate them all in order to increase your search engine ranking. This is perhaps the saddest situation when you’re aware of the fact that you have spam links but you aren’t sure about when or how they were built. If you don’t see any noteworthy increase in backlinks but you can still see those forum or bookmark links, you will soon be faced with an entire backlink audit. This will force you to pull as much data on backlinks as is possible. Now what if you went through a negative SEO attack? Even if you detect a negative SEO attack early at hand, this can be even more time-taking than what is mentioned in the first situation. The benefit of a link analysis when done during a negative SEO attack is that you will find few telltale signals which imply the time which occurred. This alleviates the pain of handling with it. You won’t require reviewing all the links which the website has acquired till now but you would need to choose links within a definite time. So is that the way in which you can do this? So, now that you’ve read most part of this article, you must have come to know how you can successfully analyze backlinks as fast as possible while also being accurate about disavowing files. 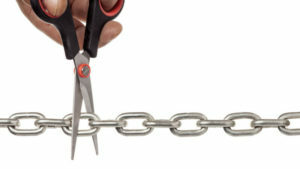 Removing bad links can definitely be a painful process because the entire procedure is extremely slow. If you have ever had the experience of doing them for million links, you will know how tough it is. Nevertheless, once everything is done and all the poor links are removed, this can become extremely beneficial for the search engine optimizer in question. Just make sure you have the patience and enough knowledge on the steps that you have to take to go about the process.